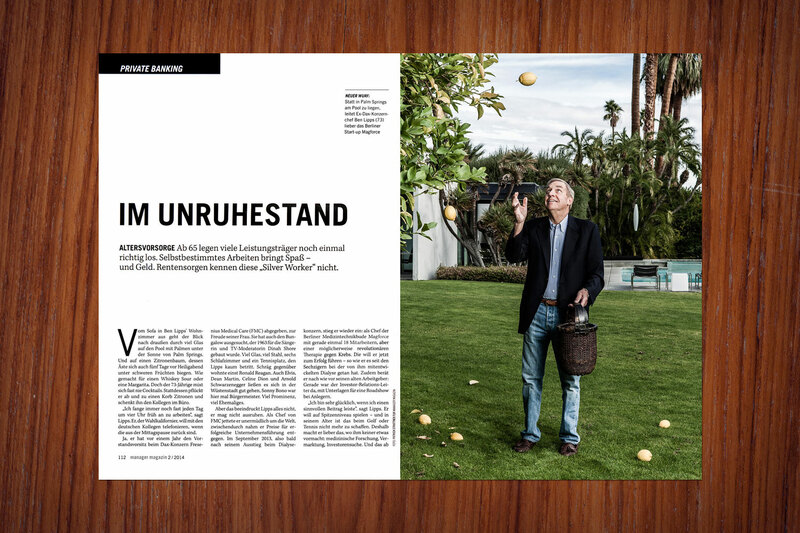 PATRICK STRATTNER PHOTOGRAPHY | TEAR SHEETS | Dr. Ben Lipps, chairman & CEO of Magforce / Manager Magazin. Dr. Ben Lipps, chairman & CEO of Magforce. Manager Magazin.